IE Global Admissions Test sample pack is comprised of a collection of aptitude tests that examine students' critical reasoning skills. Practise these skills with our state of the art test preparation packs. IE University's admission test is a paper-based independent screening tool used to screen applicants who are in the process of applying to academic programs. Although it can replace the GMAT, test results for those who are applying for the University's business school, it is different with respect to its content. ieGAT was exclusively created by IE as a substitute for the GMAT, GRE or LSAT. 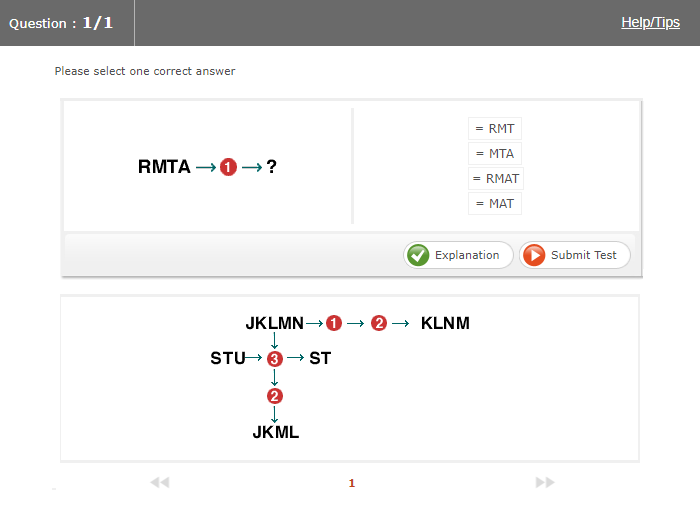 This test covers topics such as verbal reasoning, numerical comprehension and abstract reasoning. Typically, these subject matters are pooled together to create a single examination. In this way, different sides of your cerebrum are tested and stressed to work at random times. However, inside this PrepPack™ you will find that the subjects are separated for your convenience. Below you can learn more on each topic. While the GMAT requires preliminary knowledge in specific mathematical fields - algebra, geometry, probability and more - ieGAT simulation test does not require these requisites but rather the basic arithmetic concepts including the four operations, percentages and ratios. It highly resembles the aptitude tests used by employers, with slight changes in content and context. Therefore, you are likely to encounter similar tasks that are given at assessment centres and online screening tests, i.e. numerical critical reasoning, verbal critical reasoning and logical reasoning. The IE admissions test is designed to determine your ability to make management-style decisions under pressure. There are three types of question on the ieGAT: verbal, numerical and diagrammatical. There is no set order to the test, with all three types of question mixed together, and the first two types frequently mixed together within the same set of questions. The test lasts for 80 minutes and becomes progressively harder throughout the test. 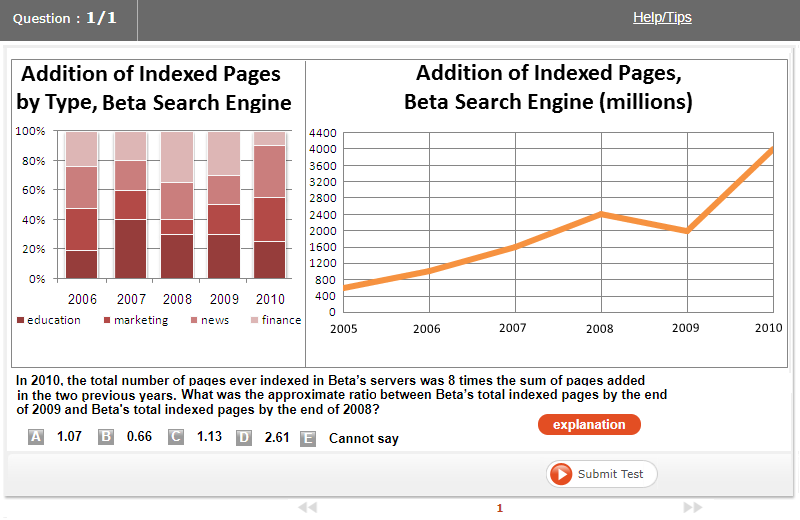 The questions are characterised in three ways which you can view in our test examples. Read on to see the breakdown. These are verbal reasoning questions. The test contains a passage for you to read and understand before answering two questions on the text. These questions determine your comprehension of written professional English. The content of these texts can often be on economic topics such as unemployment or GDP. 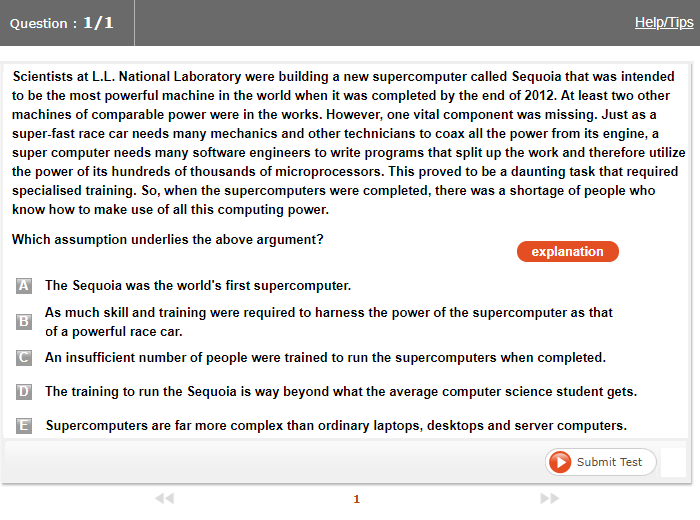 Questions are multiple choice, and for some questions, you may be asked to provide more than one answer from the list. These questions are numerical reasoning questions. Information is presented in graphs and data analysis. You need to understand the information presented in this format, think quickly, process information and make quick calculations. This section does not measure your mathematical ability. The questions are based on the datasets in the question, and the most common types of questions are based on percentages and ratios. This test is a Diagrammatical, Abstract or Logical Reasoning test where you are given a series of shapes and a symbol representing an operation. Based on the shape before the symbol and after the symbol, your task is to identify the role of the symbol. To do this successfully, you need to have strong visualisation skills, and be able to think of multiple shapes at one time. You must also be able to follow the instructions set to come to the right answer. Still not satisfied? Below are a few test samples to further help you in your test preparation. Good luck! IE advises that there is no need to prepare for the ieGAT simulator as the exam is looking at your ability to process information and think strategically. However, studies have shown that preparing for these tests provides benefits when it comes to taking the exam, including increased confidence, the ability to answer questions quicker and more accurately, and ultimately a higher result on the test. If you are looking for practice materials for IE's admission test, you've reached the right place. Our practice packs can help you sharpen your reasoning skills, with timed tests in a variety of cognitive fields, as they appear on the test: numerical, verbal, and non-verbal reasoning tests. IE and other trademarks are the property of their respective trademark holders. None of the trademark holders are affiliated with JobTestPrep or this website.